Do you thrive on growing revenue as much as we do? Even when the stakes are as high as the barriers. Named after the 19th-century passion for creating art in the open air, which inspired French Impressionism, PleinAire provides an open space where clients can acquire some fresh thinking on old ways of selling in business-to-business. Our raison d’etre: Create behavioral change in sales to drive revenue growth. PleinAire also offers clients the benefits of our role as a distribution partner and certified training firm for market leader Miller Heiman─one of the largest performance improvement companies in the world. Considered a top 20 sales training company nationally, Miller Heiman built a reputation for bringing game-changing insight to sales performance, customer experience, and leadership and management. As a Miller Heiman affiliate, PleinAire enjoys direct access to its research powerhouse, CSO Insights, and to 300 sales consultants and distribution partners in 30 countries across the globe, representing 20 languages. This access guarantees we tap into best practices on a worldwide scale, enabling us to cross-fertilize strategies and solutions for our clients. William L. MacDonald is the Founding Partner of several leading organizations in executive compensation and benefits, notably Compensation Resources Group, Inc. (CRG), Merrill Lynch Executive Compensation Group, and Retirement Capital Group, Inc. (RCG). Also, he serves as a managing partner of Executive Benefits Group and as a board member of DigitalChalk, a leading provider of online learning management systems. MacDonald’s current firm, PleinAire Strategies, LLC, specializes in positioning C-suite executives to drive revenue growth through four critical cornerstones: Create the right strategy. Build the right structure. Hire the right people. Follow the right sales process. With a $3,000 loan from the bank, MacDonald launched his career as an entrepreneur, hired his first employee, and set out to raise the bar on financial services. 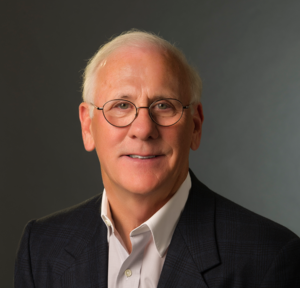 By applying the concepts outlined in his book, MERGE, MacDonald built CRG into one of the leading executive compensation and benefits firms in the nation. By 1999, CRG grew to 190 professionals, managed billions of dollars in assets, and maintained nine offices nationwide. Ready for new challenges, MacDonald sold CRG to Clark Consulting, a NYSE firm. He launched RCG in 2003, creating another market leader in the field. Quoted in the Wall Street Journal, the New York Times, Bloomberg, and leading trade journals, MacDonald also authored Retain Key Executives, a breakthrough compendium on the recruit-retain-reward challenge, published by CCH. He often lectures at the Conference Board, World-at-Work, Forbes CEO Forum and the Young Presidents’ Organization. His awards include Entrepreneur of the Year and California Veteran of the Year. And he is a longtime contributor to the Million Dollar Round Table and Top of the Table organizations. He is a graduate of Northeastern University and The President’s Program on Leadership (PPL) at the Harvard Business School. With thirty-plus years of experience in closing tens of millions of dollars in deals, MacDonald learned hard-won lessons. In his first book, Simplify the Complex Sale, he lays out his MERGE process, a five-stage system of simple strategies and techniques to help you decode complex sales. MERGE 2.0 (for publication in 2017) takes on the changing complexities of how prospects buy today. MacDonald prefers to work as a team. He has assembled a cadre of top-notch professionals in revenue initiatives, market strategy, sales training, B2B marketing and sales, content development, online marketing, and web design.